The architect and designer of the New Area Terminal (NAT) at Alicante airport, Bruce Fairbanks, from the GOP Project Office, developed the project based on two concepts: bioclimatic architecture and functionality. The NAT consists of a processing building, distributed over six floors and a boarding area perpendicular to this and parallel to the runway, making up a set in the shape of an L. With this new infrastructure, the operative capacity of the airport has increased from 9 million passengers to 20 million annually. 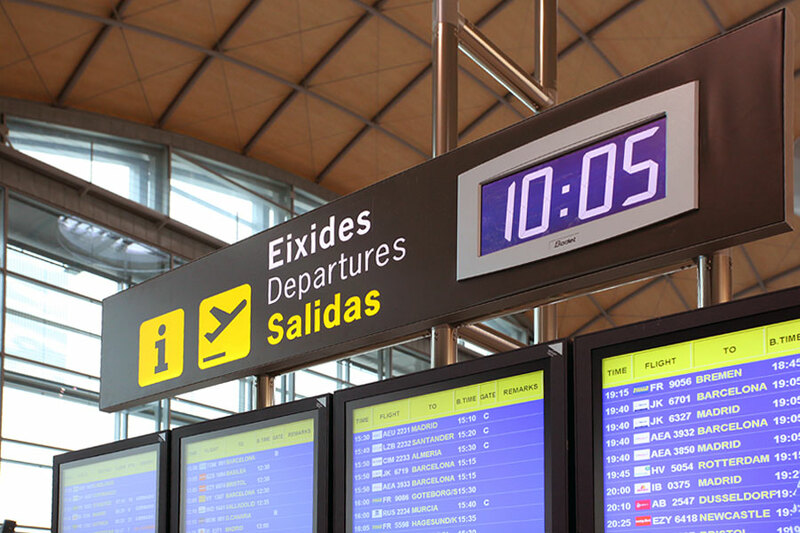 Aena entrusted Actiu to improve the image and management of Alicante airport, through the development of a new concept of equipment. 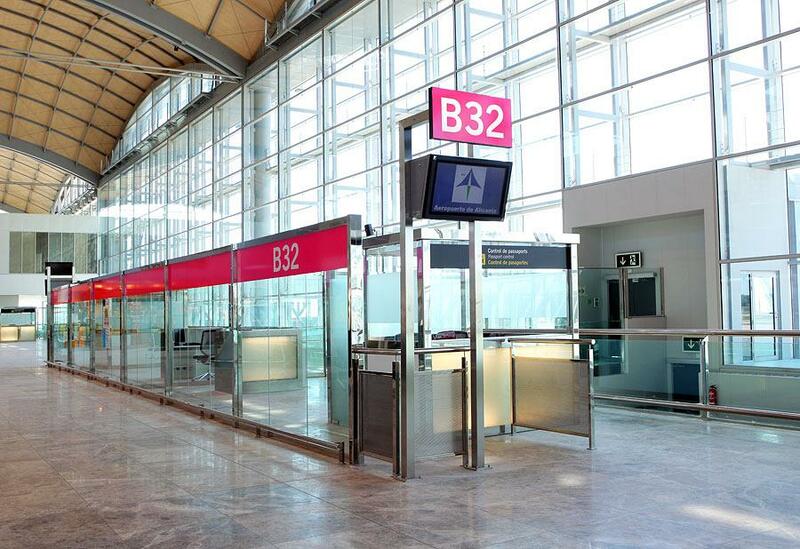 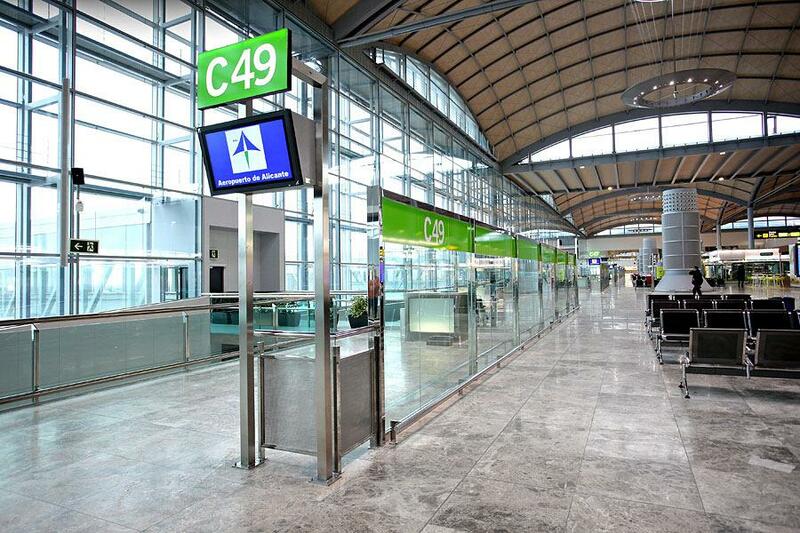 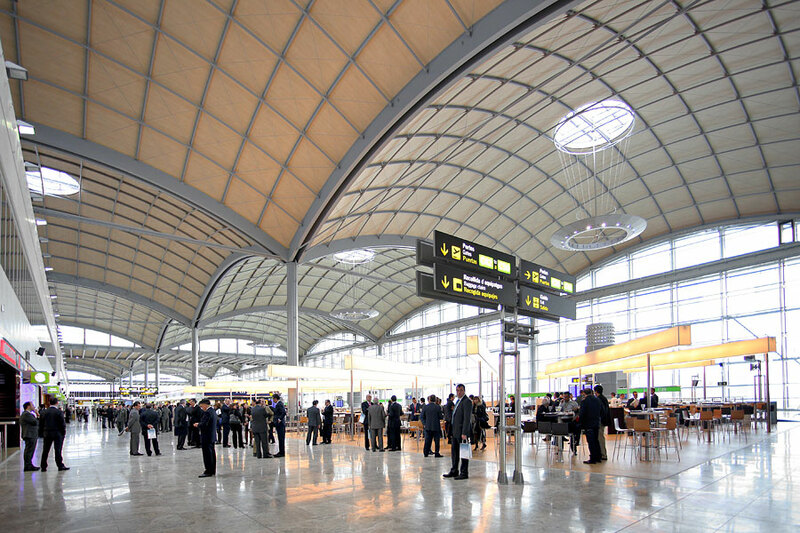 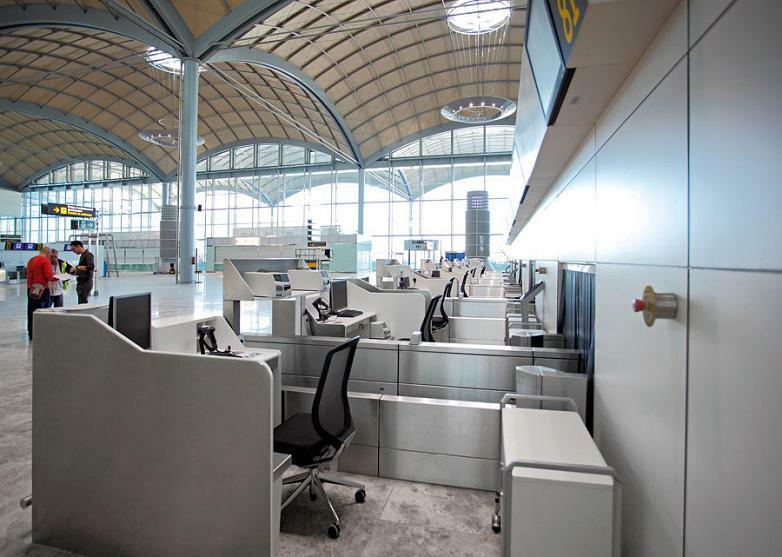 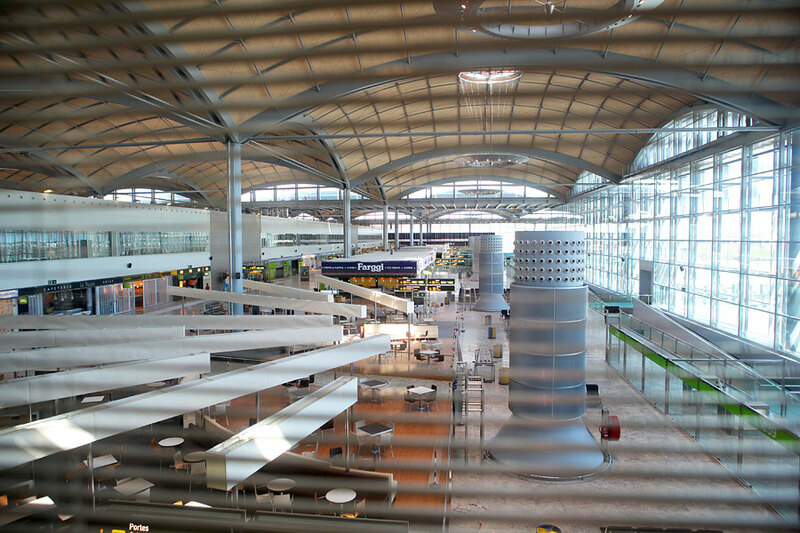 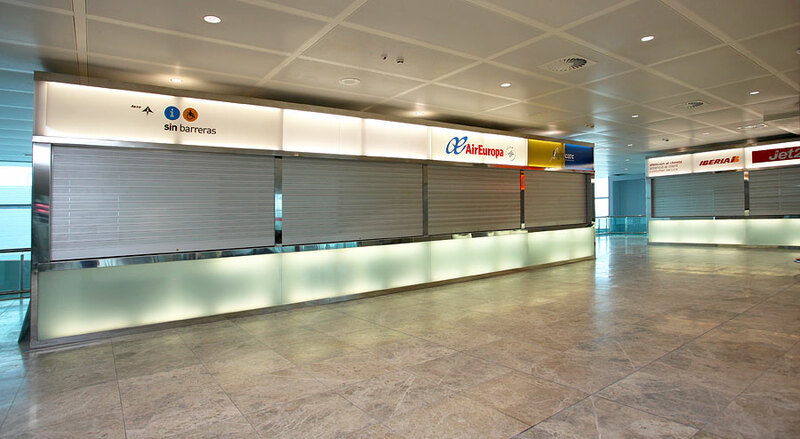 The furniture designed to expand Alicante airport was a challenge for Actiu. 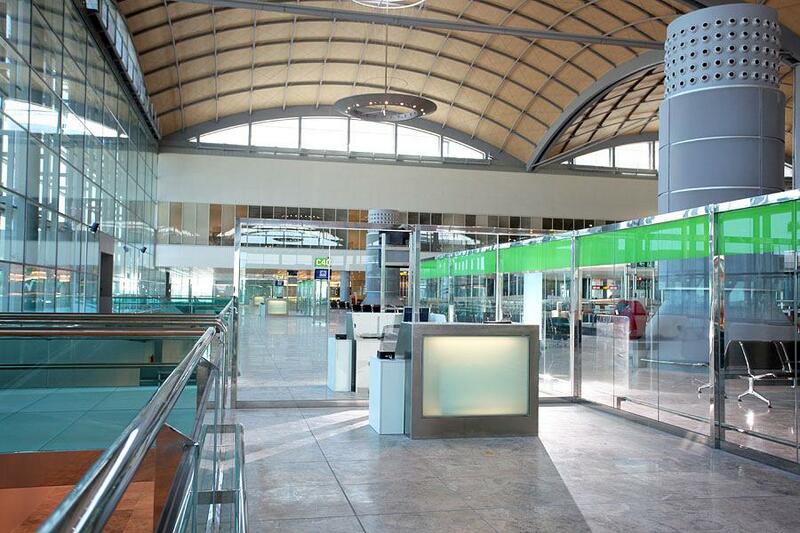 A great project which also required the teamwork of the R & D team at Actiu, the technical managers at Aena and Alicante airport and was resolved satisfactorily, to the needs of the facilities and the continued demand of traffic. 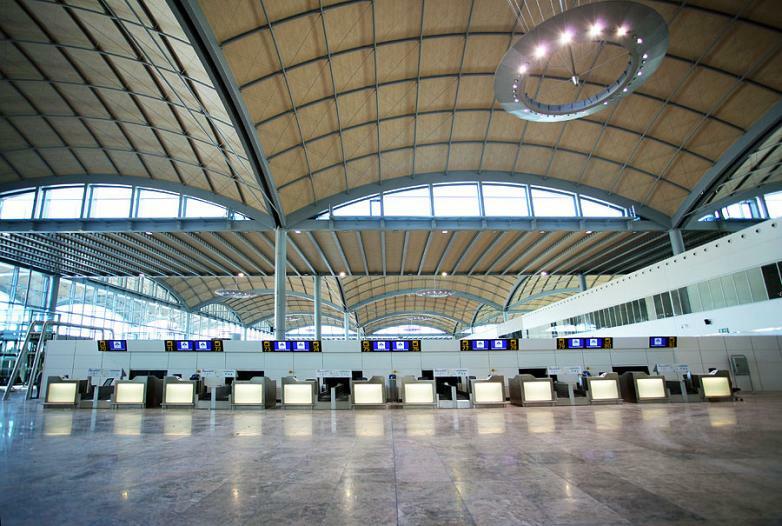 The check-in lobby is a spacious and bright space that unfolds itself under a modular hood which consists of 40 domes of 36 metres of light. 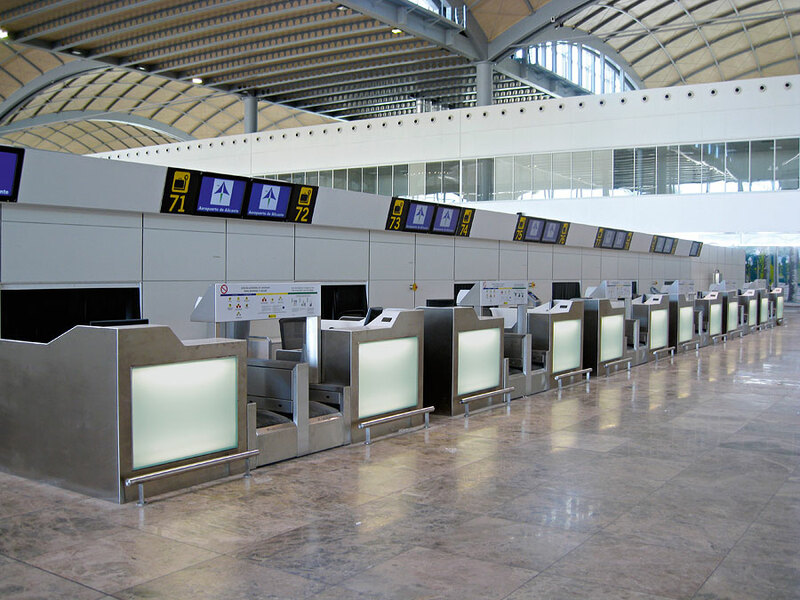 The 98 check in desks ( two of which are for special luggage) and the control cabins were designed and manufactured completely at Actiu. 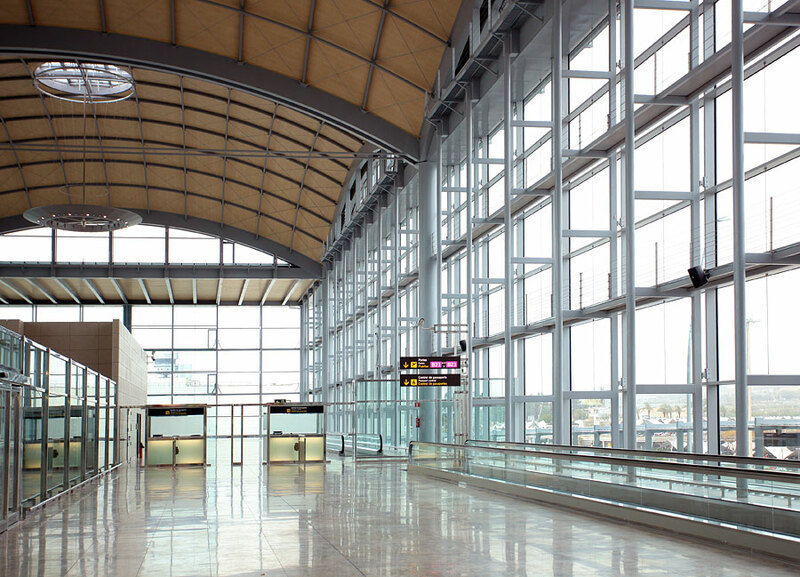 The ability of the company to work for specific projects in its Technology Park has enabled it to develop this ambitious work, which by its concept and the materials required, represents a very innovative system in airport management. 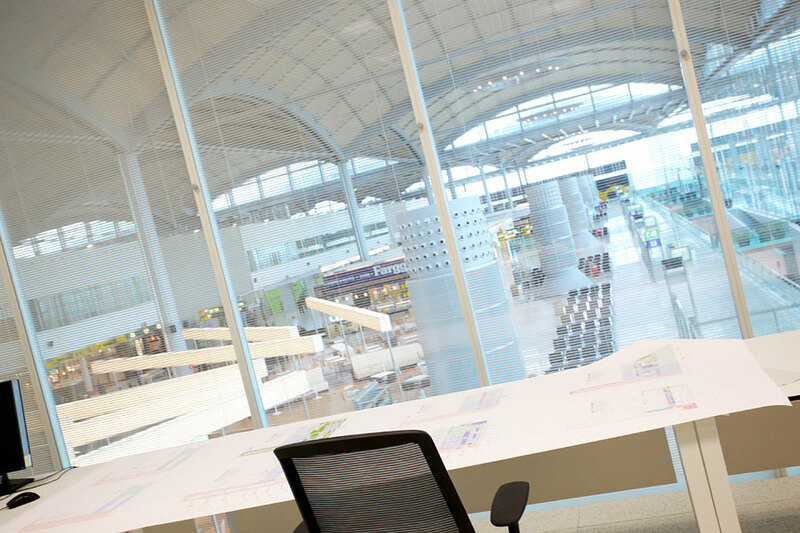 Actiu products are also present in the administrative and public areas with the TNK chairs and the Vital Plus desks. 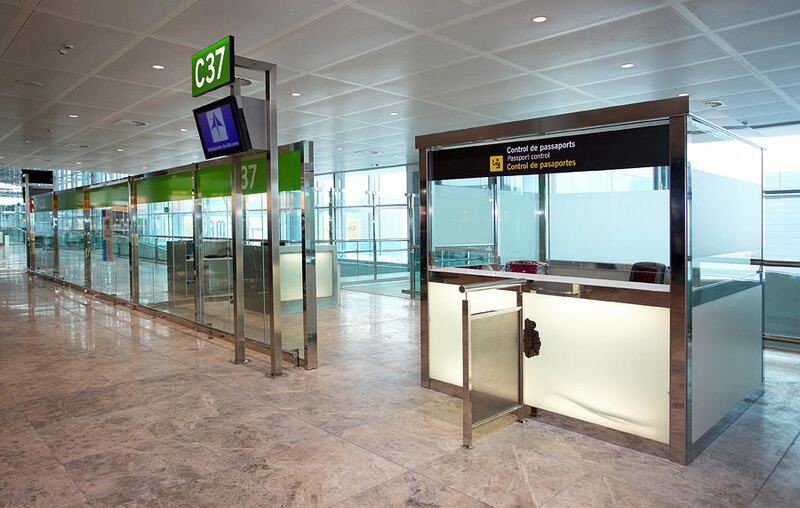 The combination of both shapes form a functional, ergonomic and avant-garde tandem. 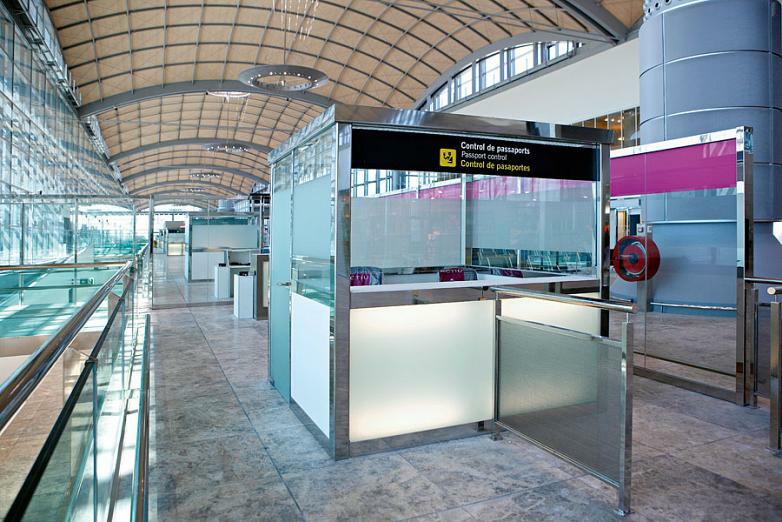 The second big challenge was the manufacture, made to measure, of the installation required for Passport Control, the boarding area. 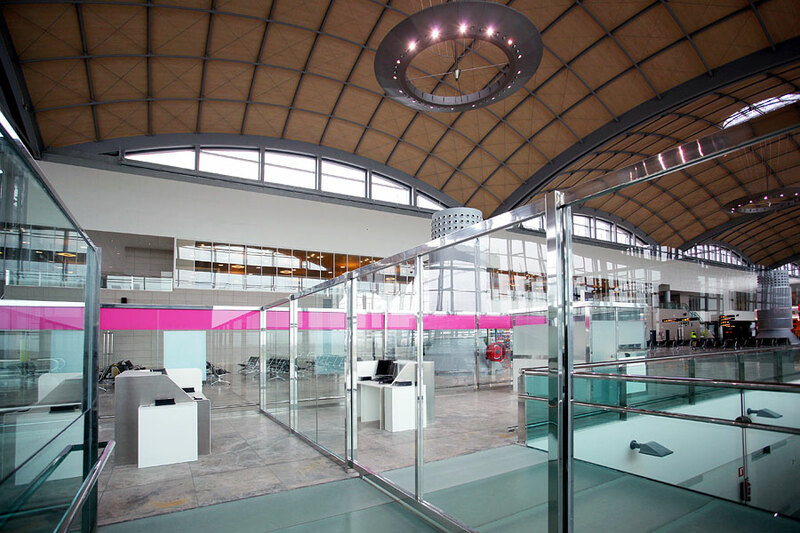 The new mechanical floors made of metal and paint, located at Actiu Technology Park, optimized to the maximum its resources and enabled full quality control, enabling them to manufacture products with the highest level of demand. We have designed and developed booths and counters which combine the elegance of metal and glass, the latter being one of the most important in the new terminal, highlighted by the architect. The composition was completed, in the same line, with the placement of enclosures which define the different areas. Actiu was also responsible for the supports of the signalling in various configurations, depending on the needs expressed. 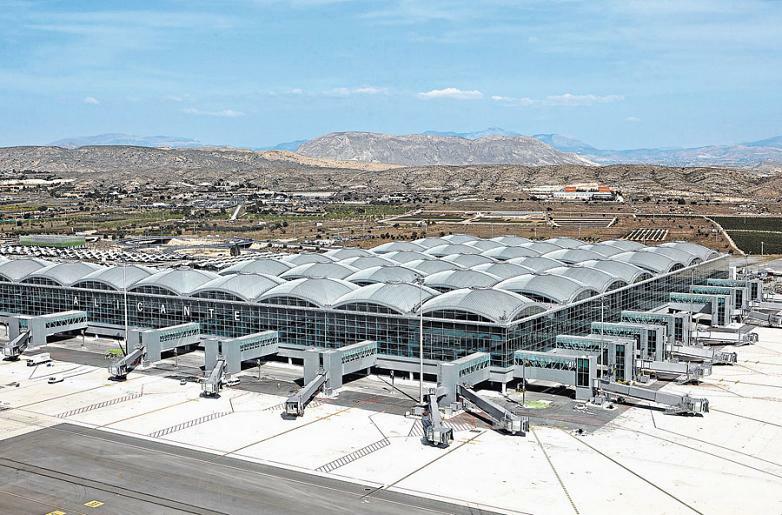 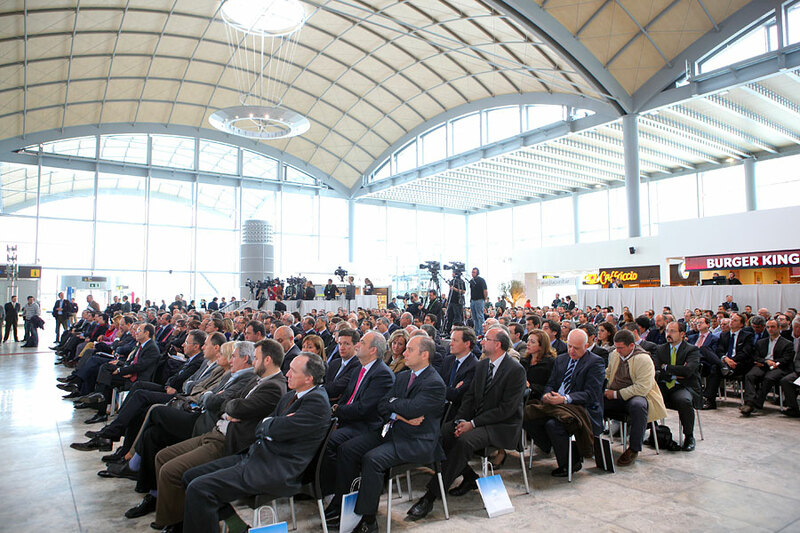 The new terminal at Alicante airport received the FOPA 2010 award for the best public works in the province.